WASHINGTON (Sputnik) - The Ecumenical Patriarchate in Constantinople’s decision to lift the anathema from the Ukrainian Orthodox Church of Kiev Patriarchate (UOC-KP) head Filaret Denisenko violates several canonical rules of Orthodoxy, former First Hierarch of the Orthodox Church in America metropolitan Jonah (Paffhausen) told Sputnik. "This is a direct interference in the life of the Russian Orthodox Church," Johan said. "The rules say that the only side who laid out the disappoint can lift the disappoint. Constantinople has no right to do that." Earlier on Thursday, the Synod of the Constantinople Patriarchate lifted the anathema from Filaret as well as from Archbishop Makariy Maletich, who leads the so-called Ukrainian Autocephalous Orthodox Church, in a move to grant autocephaly to the non-canonical Orthodox Church in Ukraine. In 1992, the Ukrainian Orthodox Church removed Filaret from the post of primate of the church. Filaret refused to accept this decision and created unrecognized Kiev Patriarchate. In 1997 the Russian Orthodox Church anathematized him for the schism. Jonah called the Constantinople Patriarchate’s decision to remove the anathema from Denisenko as well as Maletich "very distressing." Jonah said the move can lead to a greater separation between the Moscow and Constantinople Patriarchates — the biggest in the Orthodox world. With this move, the Constantinople Patriarchate revokes its 1686 decision to grant Moscow the right to ordain the Metropolitan of Kiev, Jonah noted. 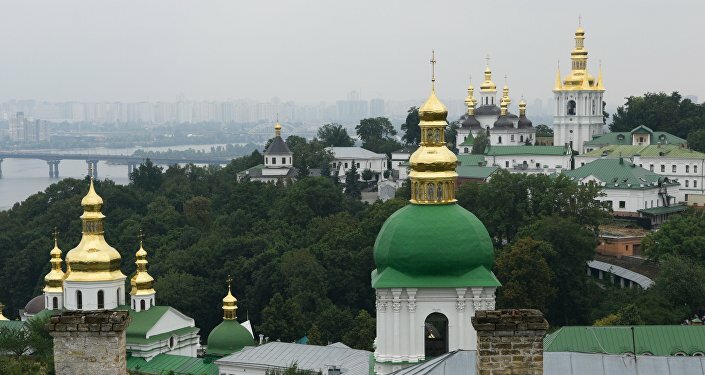 "Almost 400 years the Kiev Metropolitan has been a part of the Moscow church and Constantinople is trying to revoke it. I am sure that is will be rejected by other churches," Jonah said. That way, the Constantinople Patriarchate is attempting to "grab Moscow Patriarchate’s territory," Jonah added. Other local churches may condemn this decision, while the whole process of granting autocephaly may take many years, Jonah said. The Constantinople Patriarchate’s decision is a gross violation of the fundamental canonical norms of the church system, and cannot be recognized as legitimate, Vice-Chairman of the Moscow Patriarchate department for external church relations Nikolay Balashov said on Thursday. Alexander Volkov, spokesman for the Patriarch of Moscow and All Russia Kirill, said the Constantinople Patriarchate made catastrophic decisions for itself and the world of Orthodoxy, and its move is a legalization of a schism.